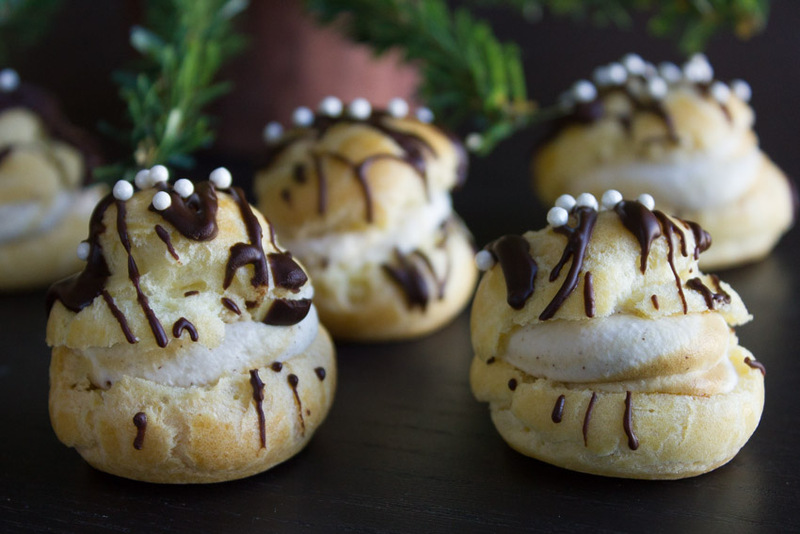 Cream puffs have become my go-to potluck party dessert. They’re pretty and kind of impressive, and they’re all the more festive with a swirl of gingerbread cream in the middle. Getting the puffs to rise correctly is, for me, a lot about getting the right feel when mixing together the ingredients. I’ve had tons of practice and been through lots of trial and error. The first pate a choux recipe I posted on the blog has helpful photos and hints for first-timers. I suggest giving it a browse before starting. 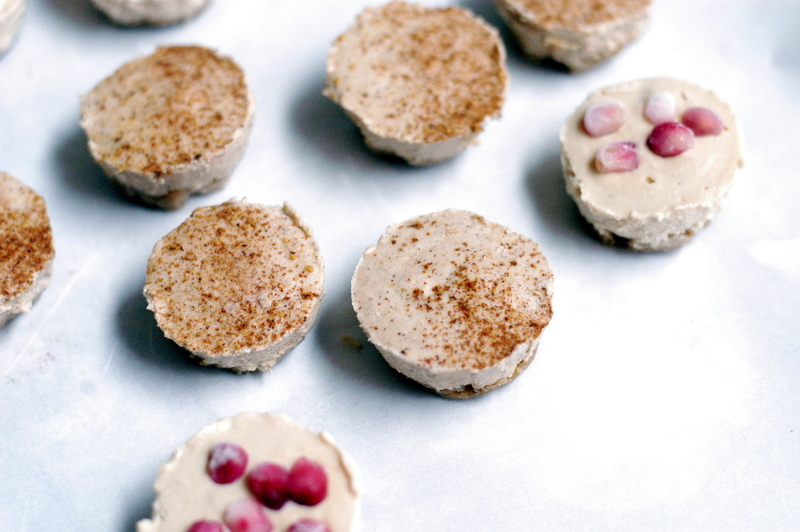 Some of our gingerbread recipes will be nice… this one will be naughty (well, depends on how many you’ve had, really). 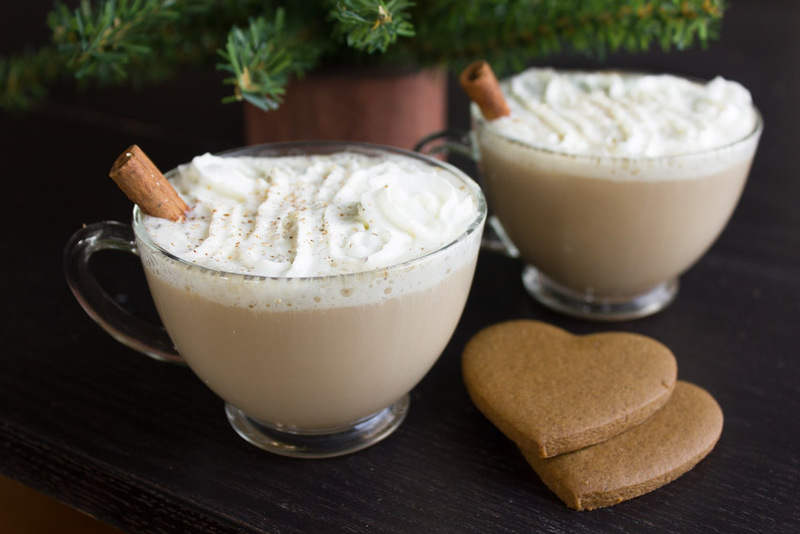 Gingerbread lattes are the ultimate indulgence, and my recipe doesn’t cut them any slack. If you don’t have or can’t find whole spices for every ingredient listed, don’t worry. Pinches of ground spices can be substituted. If you don’t have an espresso machine, use instant espresso and try steaming milk on the stove (YouTube has some great demos). 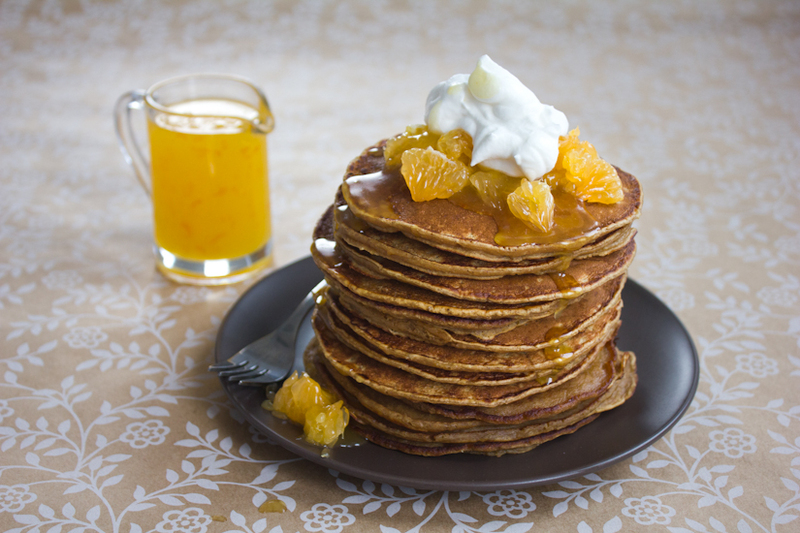 These weren’t as sweet as I was expecting, probably because I pictured eating a gingerbread cookie in pancake form, but I loved them as a canvas for the orange syrup and whipped cream. Aunt Kay’s original recipe topped them with homemade shaker applesauce and pure maple syrup. Did you ever try the “dirt and worms” snack as a kid? It consisted of crushed Oreos, layered with whipped cream and topped with gummy worms. 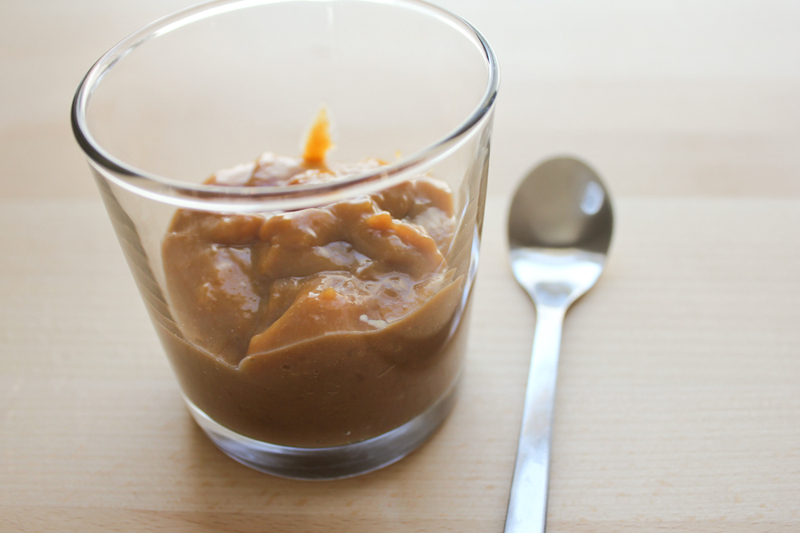 These pudding cups were inspired by that elementary school treat. Let me just say that this recipe took a lot of work. I started making my own groundhog-shaped cookie cutter from a pop can Friday morning and mixed up the cookie dough that afternoon. I made the pudding and baked the cookies on Saturday morning, whipped up the whipped cream that afternoon and finished the assembly in the evening. By the time I dipped in my spoon for the first taste, I darn well deserved it. Was it worth it? To me, yes. The cookies were delicious, the pudding was a culinary challenge I can now cross off my list, and whipped cream is always best when made from scratch. Could I have taken shortcuts? Ooooh, yeah. For starters, I could have bought a groundhog cookie cutter like this or decided on some other shape to use, like a circle. I could have skipped making my own gingerbread altogether and found some kind of premade cookie at the grocery store (Maybe Nutter Butters?). I certainly could have saved myself some nail-biting if I’d just used an instant pudding mix. And store-bought whipped cream almost seems like a no-brainer. Will I hold it against you if you don’t make everything from scratch? Of course not! I’m the idiot who thought making this dessert for two days straight sounded like a good idea. But if you’re up to the challenge, I’ve summed up every step you need to know to make these Groundhog Day pudding cups from scratch. Shall we begin? I experimented with shapes and sizes and ended up liking these two. The tall one measures about 2 inches vertically, while the other one is about 1 1/2 inches. I liked the longer cookies because you could really push them down into the pudding without losing too much of the head shape. 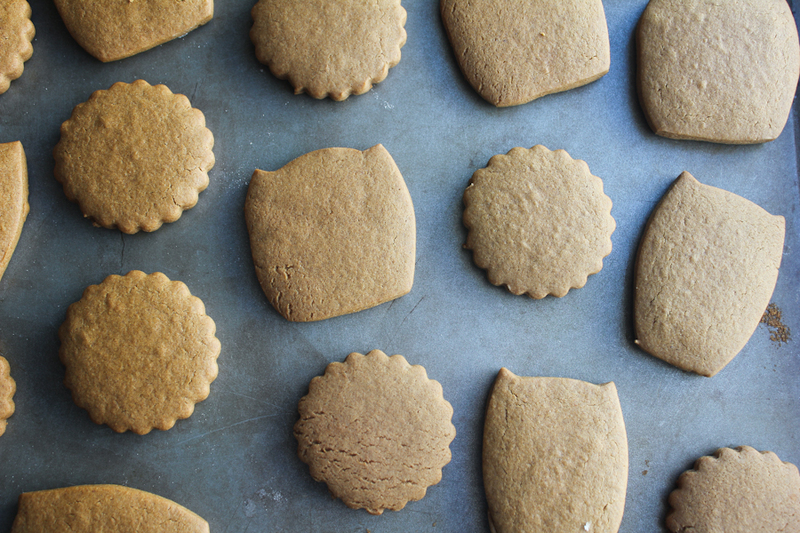 *Note: Making your own cookie cutter can be dangerous if you’re not careful. Don’t use dull blades, and handle the metal, which is very sharp, with care. See those jagged edges? Those were cut with my sharp paring knife. If anyone knows of a better, safer way to cut off the top and bottom of a soda can, please comment and let us know! This was the best I could come up with my limited tool supply. Cut off the top and bottom of the aluminum can with a knife. Watch your fingers, and start each cut with a stab of the point. 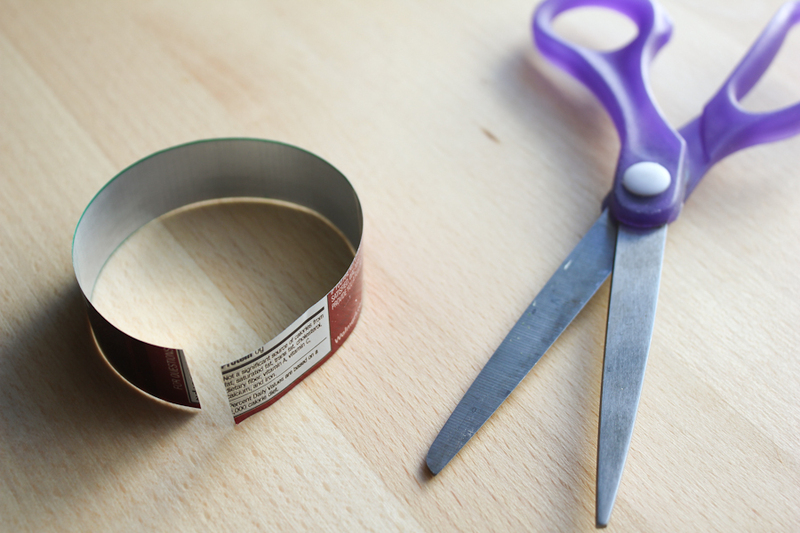 Use scissors to make a vertical cut along the length of the open cylinder. You’ll be left with a curled sheet of metal. 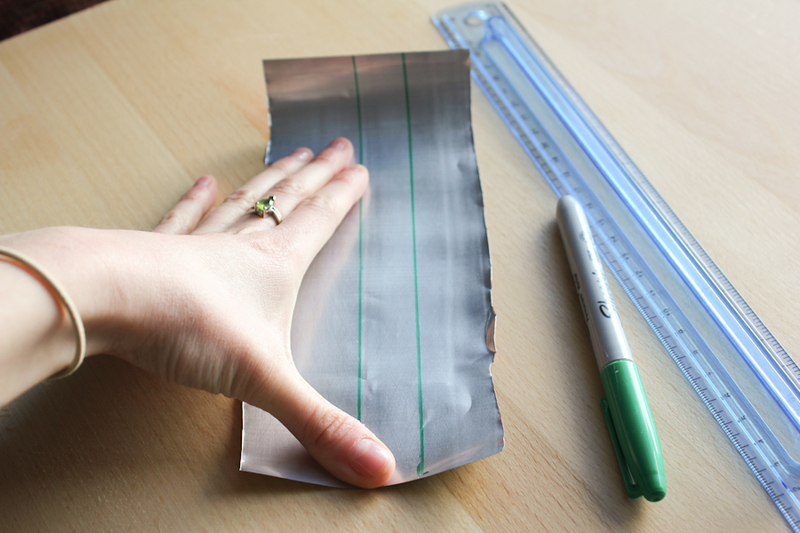 Carefully flatten the metal with one hand, reinforcing it with a ruler parallel to the long edge. Use a marker to trace a line along the ruler. Draw a parallel line about 1/2 inch from the first one. Once you make your cuts, you’ll have a thin strip of metal to work with. Use scissors to cut along the lines you’ve drawn. Be as precise as possible to ensure clean cuts into your cookie dough later. You’ll be left with a curled strip of metal. From there, bend the strip into the outline of a groundhog, leaving about 1/2 inch excess at the end of the strip. Hard creases may tear the aluminum, so soft bends are best. Use the excess of the strip to overlap with the other end, and staple it to close the shape. 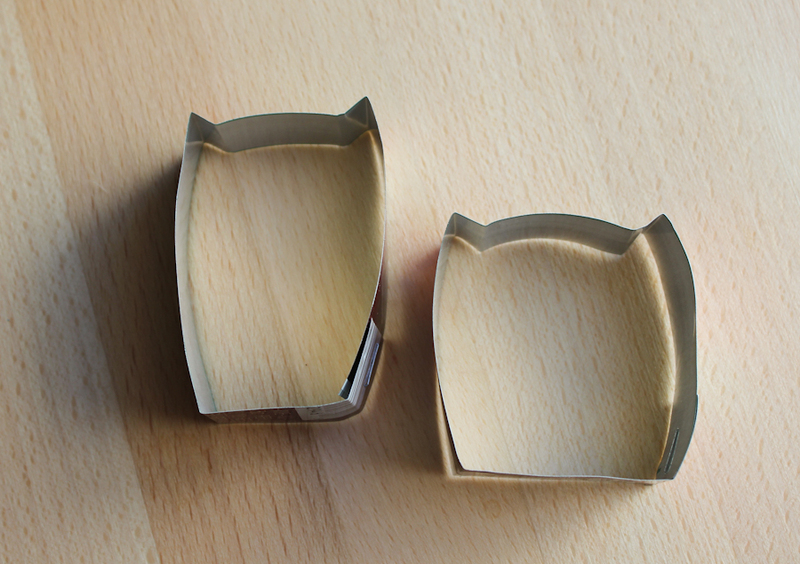 If you don’t have a groundhog cookie cutter (Who the heck does??) and you aren’t up for making your own, I suggest using a circle-shape cookie cutter or a glass to make small round cookies. And is it me, or do my groundhogs look like owls? I started the dough for these a day early. See the recipe I used here. For the groundhogs, I used a toothpick to poke holes for eyes after the cookies had baked and set. To stop skin from forming on the pudding, press a square of plastic wrap against the top before chilling. Practice mis-en-place, and measure each ingredient ahead of time! You’ll thank me as your dabbing the sweat off your forehead and watching your pudding change colors. I placed a lot of faith in Smitten Kitchen for this one. Didn’t make too many tweaks except for the type of milk, which I switched to skim (and it worked just fine!). We don’t normally do this, but I’m going to direct you to SK’s blog post and advise you to read the recipe 2 or 3 times, assemble your ingredients and take some deep breaths before you start. Don’t even think about stepping away from the pot once you start! Your diligence will pay off! 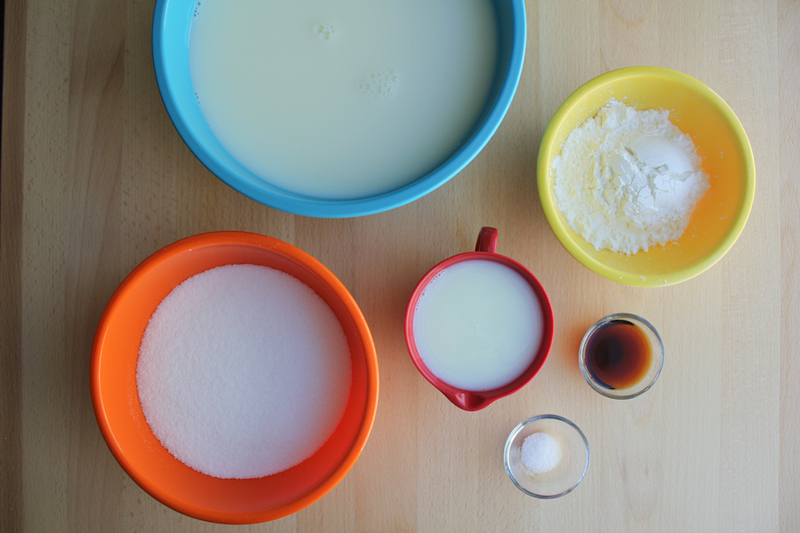 In the bowl of an upright mixer fitted with a whisk, combine the whipping cream, powdered sugar and vanilla, and beat on high until a semi-firm consistency is reached, about 3 minutes. 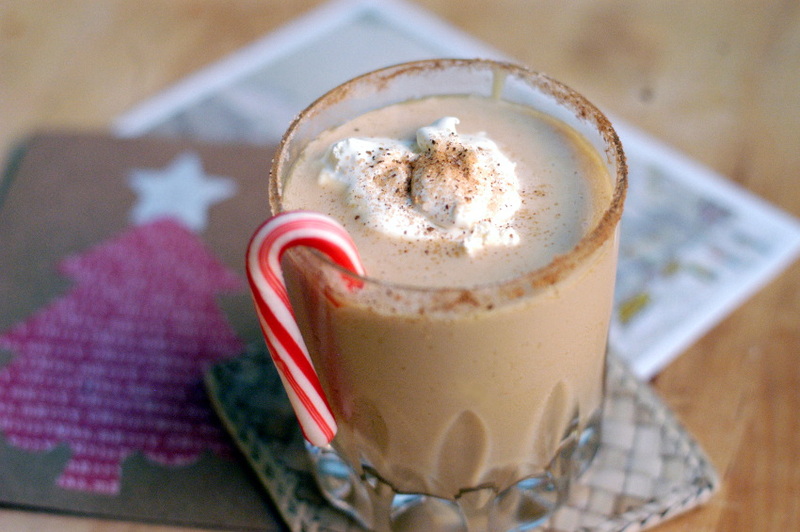 With your pudding already chilled in 6 lowball glasses, sprinkle 1/4 cup crushed gingerbread cookies into each glass. 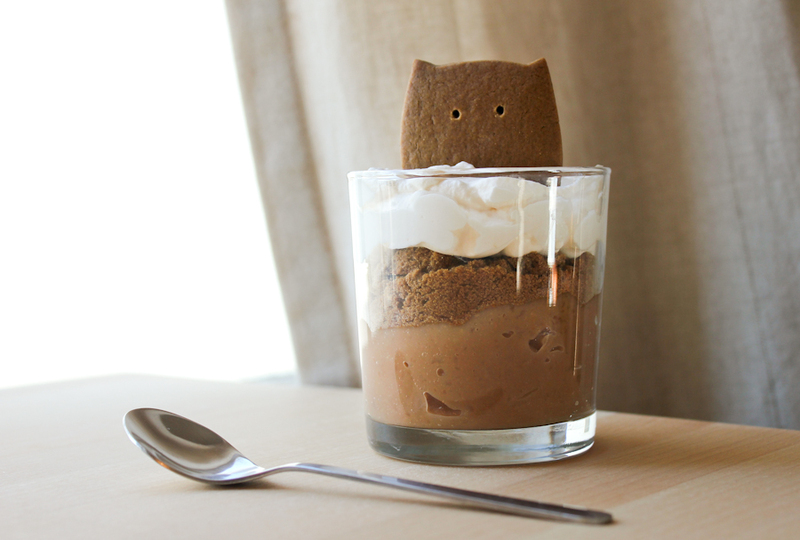 Top with whipped cream and wedge a groundhog cookie into each cup. Write down this recipe, and store it in your favorite cookbook forever. It’s simple but perfect. Mix the flour, ginger, cinnamon, nutmeg, baking soda and salt in a large bowl. Set aside. Beat the butter and brown sugar in a large bowl until light and fluffy. Add the molasses, egg and vanilla; mix well. Gradually beat in the flour mixture on low speed until well mixed. Press dough into a thick, flat disk. Wrap in plastic wrap. Refrigerate 4 hours or overnight. Preheat the oven to 350 degrees. On a lightly floured work surface, roll out the dough to 1/4-inch thickness. Use cookie cutters to cut out shapes. Place 1 inch apart on ungreased baking sheets. 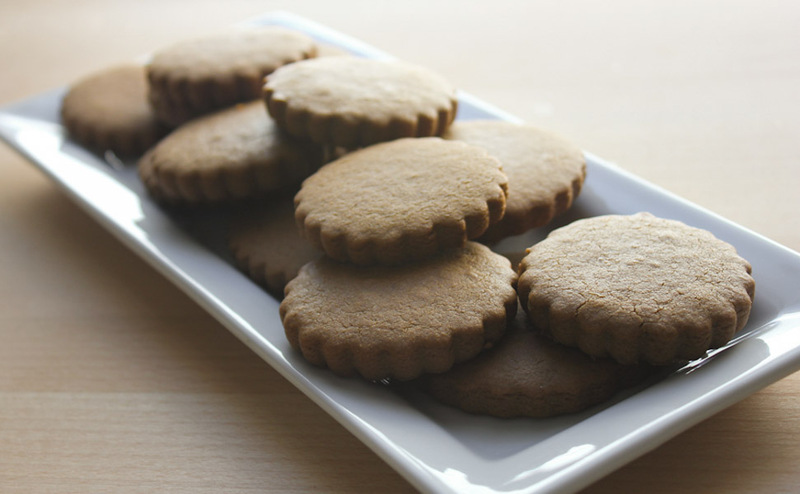 Bake 8 to 10 minutes or until edges of cookies are set and just begin to brown. Cool on baking sheets 1 to 2 minutes. Transfer to wire racks to cool completely. Decorate the cooled cookies as desired. Store the cookies in airtight container up to 1 week.